Next time you're enjoying a nice spring walk about Rosslyn, make sure to check out Miracles display window near the corner of Wilson & N. Oak St. Miracles is not only an outstanding hair salon, but it also has the finest window display in the region. 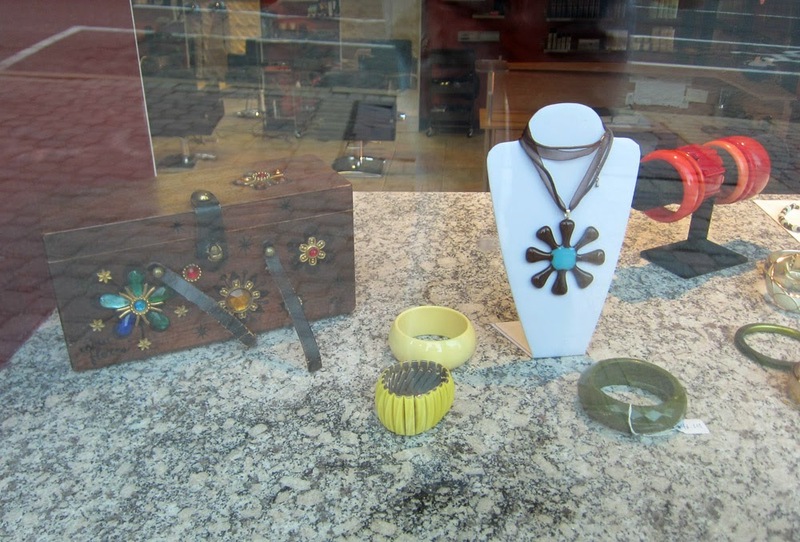 The window display currently features a variety of jade jewelry, two ornate golden spoons, and a variety of other treasures. The threat of marauding pirates from the nearby Heavy Seas Alehouse hasn't scared Miracles.